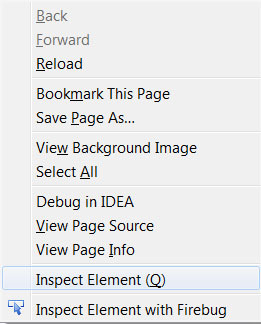 Firefox has one very neat feature for web developers – 3D inspection. It’s very useful when you need to examine layer overlay or event bubbling. You’ll switch to inspect mode. Click 3D View in the right bottom corner. I was building application based on jQueryMobile. It worked correctly in all modern browsers except Internet Explorer. Application was displayed incorrectly and it was not functioning at all. Application started to work correctly also in IE after this small fix. Firefox and Google Chrome implemented File API for manipulating with files. It contained very useful function slice. Slice allowed you to read part of file content. This was quite handy when dealing with big files. This method was removed in Gecko 5.0 (Firefox 5.0) because its syntax differs from that of Array.slice() and String.slice(). Work is ongoing on standardizing its replacement, but for now you can use the mozSlice() method on Gecko-based browsers. In case of slice it was length of block that should be loaded. In case of *Slice it is the end position of block (length + start position).